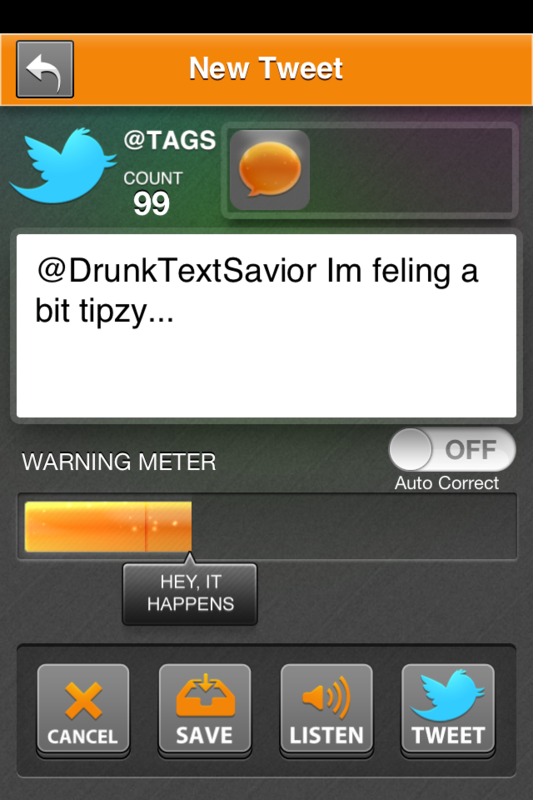 Drunk Text Savior - No More Embarrassment from Drunk Texts! 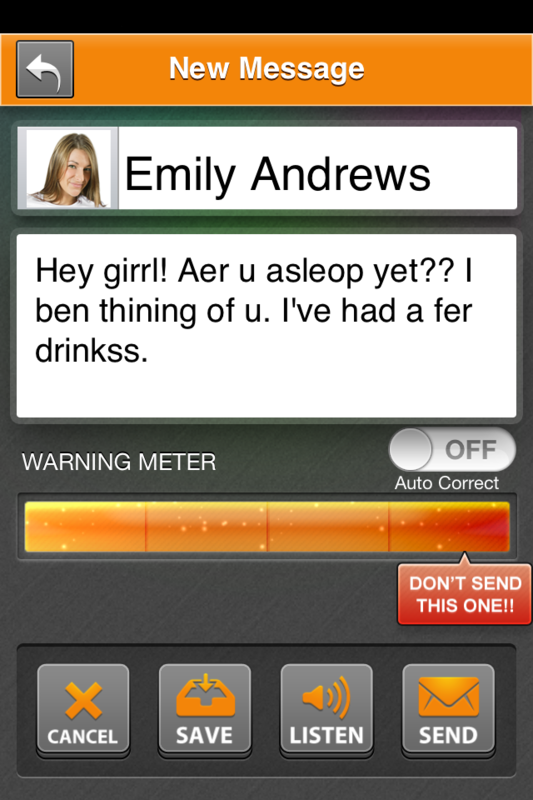 No More Embarrassment from Drunk Texts! 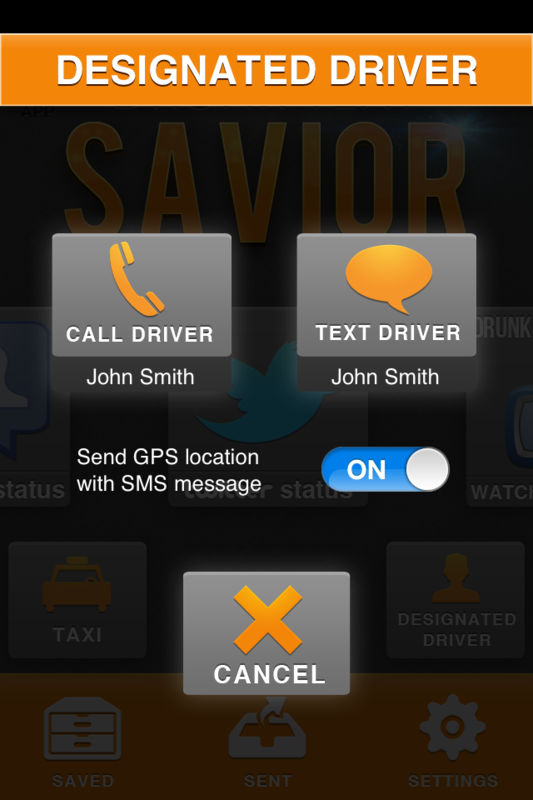 Tired of getting yourself into trouble from your drunk texts after a crazy night out? Let the Drunk Text Savior help. 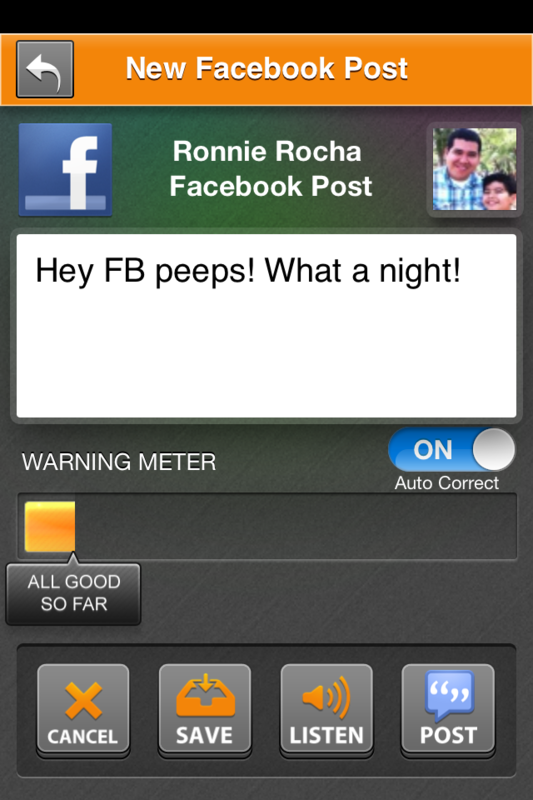 And with the latest update, you can now Drunk Facebook Post and Drunk Tweet!! 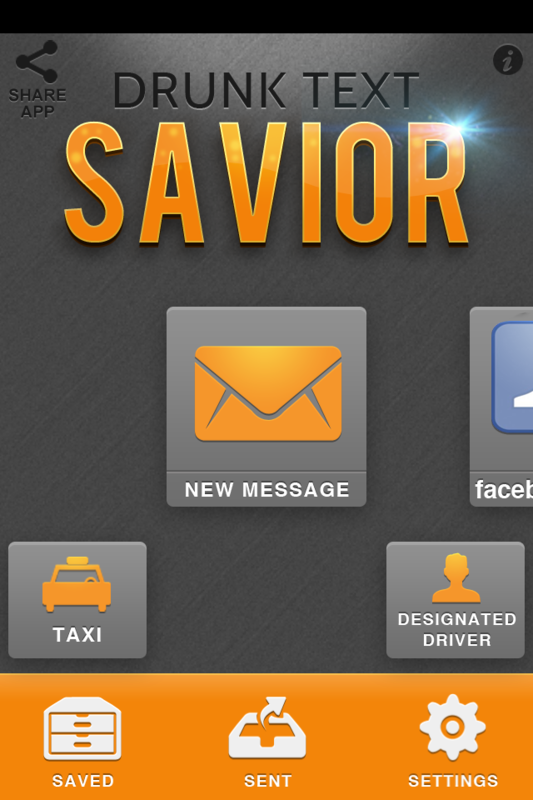 Avoid embarrassing situations that your crazy nightlife text messages seem to get you in by letting the Drunk Text Savior App help you analyze whether your message is suitable to be sent or not. * Requires iPhone running iOS 4.1 or above or any iOS Device (iPod, iPad) running iOS 5 using iMessage WiFi, Edge, or 3G network connection required for Audio Playback and Social Posts. What is Drunk Text Savior? 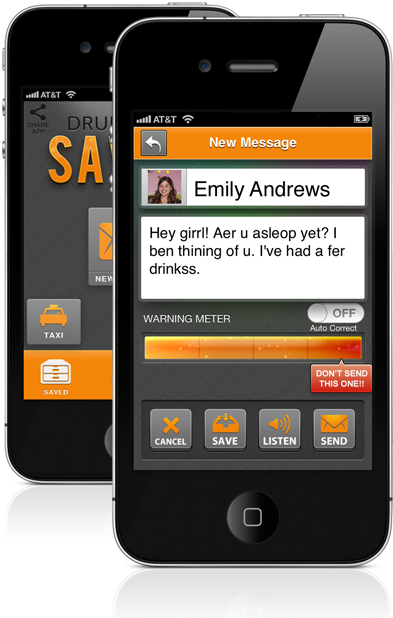 Drunk Text Savior is a drunk text app that was created to help save us from the embarrassment that inevitably happens when texting while drunk. We've all heard stories of people texting while drunk and we all know that the results were probably not too good. We wake up the next morning to see that we started texting our exes or even worse, our crush that already has a girlfriend. That's why we created the best drunk text app ever! "Get this app, you'll thank yourself later, believe me!" "The designated driver component is kind of awesome!" "Finally a simple useful (and life saving) app!" We are always looking to improve our Apps and deliver quality user experiences. If there are any bugs/issues with the app or features you would like to see in this app, send them to us and we'll try to get them in a future version. Drunk Text Savior is provided as an entertainment tool. 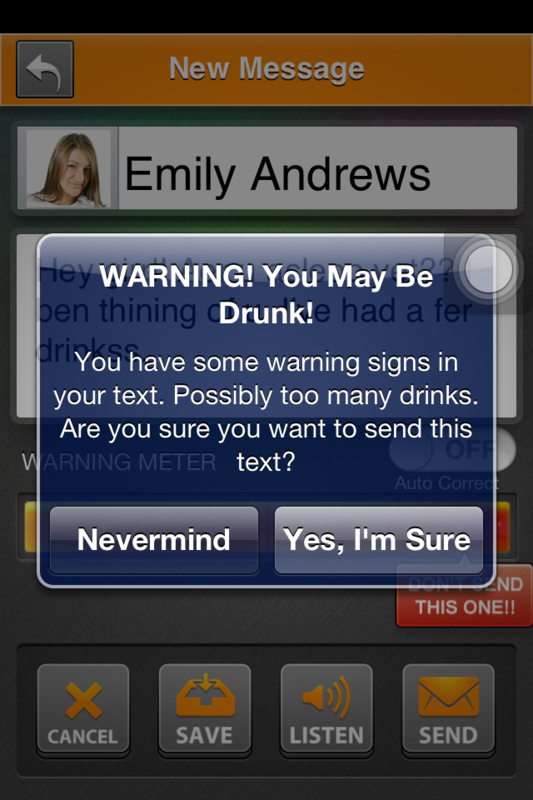 If used correctly, this app can help limit the amount of embarrassing drunk texts that are sent. 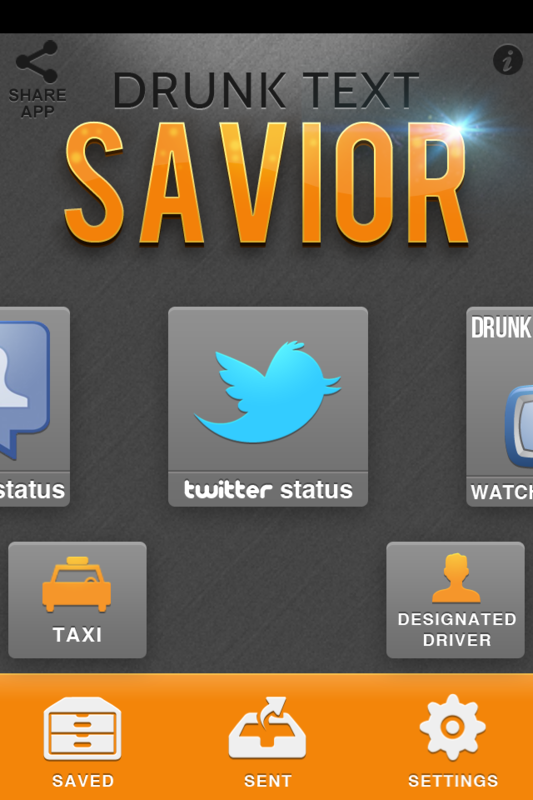 However, we do not guarantee that the user will be 100% protected from drunk texts.